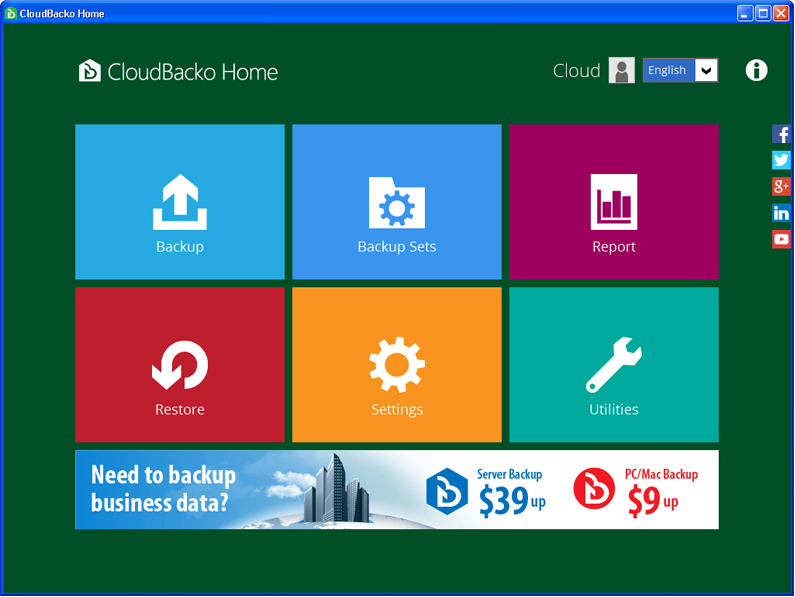 CloudBackup Home is an easy to use cloud and local backup software designed for backing up files. Once configured, CloudBacko Home will quietly and transparently performing backup in the background continuously. When your computer is busy with high CPU usage or network traffic, backup will automatically be paused so as not to affect the computer's performance.